Transformational Coaching, Quantum Physics, DNA Codes, Hindu-Brahmin Chakra System, Psychology & Counselling, Shamanism, Law of Attraction, Reiki, EFT, Mindset Mastery, NLP, Human Design, The I Ching, Sociology & Criminology degree, Numerology, Astrology, Access Consciousness (Lines), Breathwork, Meditation and Quantum Physics. THIS IS A 90 MINUTE SESSION WHERE I READ YOUR ENERGY FOR YOU VIA ONLINE VIDEO OR TELEPHONE. I THEN EXPLAIN YOUR ENERGY TYPE, ANSWER YOUR QUESTIONS + CREATE YOUR STEP-BY-STEP PLAN TO ACHIEVE YOUR NEXT BIG GOAL - WHETHER IT BE FINANCIAL, RELATIONSHIP, OR HEALTH-RELATED. Like most of us, I grew up with humble beginnings. Money, I was told, didn’t grow on trees (except it literally actually did). nobody had time to sit and give me personalized life direction. LIKE YOU though, I was always motivated to succeed. My resilience game was stronger than strong. When I was thirteen years old, for example, I won my regional public speaking contest - not bad for a girl who grew up linguistically confused between Italian and English! At twenty-one years old, I applied for and won a $15,000 grant plus full business mentorship to start a coffeehouse/spiritual bookstore. At twenty-seven, I competed for and won a government position that had 3500 applicants for every one of the 88 positions available. Still, money was a problem for me, most of my life. Not because I wasn’t smart (I was a straight A student). Not because I wasn’t a hard worker (I gave MY ALL to every one of my jobs and then that government career). and not because I wasn’t motivated. This went on to stump me for three whole decades of my life. How could I be a leader and a “winner” in all the areas related to money, that brought in the money, yet couldn’t relax into and feel good with and manage properly and hold onto and invest in - aka have a great relationship with money? I just kept working like a dog, feeling I had to suffer for money. and that if my health or personal life suffered then TOO BAD, because that’s how money operated. In other words, I felt like a slave to money. As you can imagine, this wore me down. I lost all of my energy. I tried many things to “get around” being a slave to money even, like selling everything I had, or allowing not-the-greatest boyfriends to support me financially, or moving in with friends and exchanging rent for house chores (even later in my life). All the while, I just kept wondering: is it even possible for me to have a decent relationship with money? Would I ever find satisfaction with my work? Would I ever find a way to do what I loved and still have money coming in for everything I wanted and needed? Would I even find time to sit down and figure this out? HOW I FOUND THE REAL MEANINGFUL GOLD BEHIND THIS MONEY GAME . . .
Here’s the thing, My Love - there’s much more to money than numbers and paychecks. The minute I made the connection between money and my personal energy, everything changed. I realized that learning math and accounting and budgeting would DO NOTHING if my personal energy field wasn’t right. If it wasn’t aligned with not just everything I wanted, but everything I was meant to achieve on the planet. YES the achievements I would compete for and feel good about winning - YES those matter and those count, too - but the quieter, soul whispers, it turned out, mattered the most. And I wasn’t able to hear them, let alone allow them to manifest and play out in my physical world, until I understood my personal energy system, and how it worked when it came to creating the life I really wanted to be living. Can you imagine being FULLY expressed in all areas of your life. Having the skills of first knowing, then communicating your deepest truth easily so you don’t live with incongruence and pressure of unhealed trauma from the past? Imagine living right now, here, present. Enjoying the moments. Knowing you’re aligned with your soul’s deepest desires. Trusting what is meant for you in the future is arriving. No matter what. 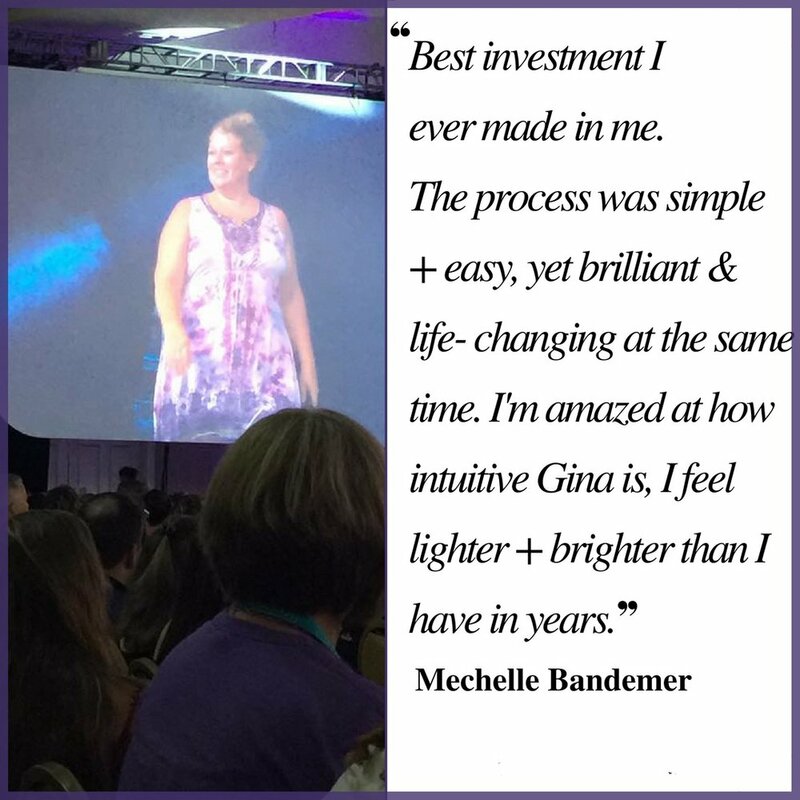 THAT’S WHAT MY ENERGY BLUEPRINT SESSIONS ARE FOR - EXCEPT YOU’RE NO LONGER JUST IMAGINING, YOU ACTUALLY LIVE IT … FEELING EMPOWERED & FREE ALL THE WHILE. AND - before it arrives, as it’s arriving, when you have it, then moving onto dreaming the next new thing - feeling empowered and free. Ready to make life this easy? To live according to the way you were designed and meant to be living? Who are these Energy Blueprint sessions for? Anyone who is feeling stuck in life and knows they need a deeper understanding of what’s happening in their personal energy system, and what to do about it, in order to thrive. Are these Energy Blueprints based in Metaphysical Science? Yes. I start with your date/place of birth to reveals your unique genetic design based in DNA Codes, Kabalah, Astrology, The I Ching, Hindu-Brahmin Chakra System, and Quantum Physics. It’s an energetic freeze frame that shows you how you’re meant to move and be in the world. How long is each session? 90 minutes. YOU’LL RECEIVE A LINK TO BOOK YOUR SESSION DIRECTLY INTO MY CALENDAR AFTER PURCHASING YOUR SESSION … i’m looking forward to connectinG WITH YOU!